Back in early 2014 I first conceived the town of Blue Valley, Montana�the setting of both my Big Sky Cowboys series, and my current Navy SEAL Cowboys series. From the very beginning, it was a rough-and-tumble town inhabited by rough-and-tumble people. Most of the cowboys weren't your traditional sort�a disgraced hockey player, the town screw up, and then a trio of Navy SEALs with physical and emotional scars. It's that trio that makes up my Navy SEAL Cowboys series this year. It's been a truly amazing experience to write about three injured SEALs coming to Blue Valley to build a ranch that will act as a foundation for wounded veterans such as themselves�those who need a place to feel useful again, to engage in some therapeutic horsemanship. And in the case of Revival Ranch's three SEAL founders, fall in love. Coming to the end of a series is never easy. It's a bit like moving away from home. For four years, I've spent a lot of time in Blue Valley, and for the past two I've been building Revival Ranch right along with my characters. I've spent hours there, imagining what it looks like, sounds like, and sometimes even smells like. Now, it's time to move on. I'm packing up my stuff and leaving Revival and Ron Swanson the goat and all of these healed and happy characters behind. I'm heading for a new place to build and create for a few years, and that's exciting. But I'll miss the characters who started at low points in their lives and opened their hearts to growth and love. I'll miss Ron Swanson and llama jokes. I'll miss the town, because no matter how many small towns I write, they're all different. Different in spirit and feel. Blue Valley might only exist in my imagination, but it exists there as its own entity that I'll always think fondly on. There is one positive to saying goodbye though, and it's the epilogue. An epilogue for a series finale, not just the end of one book, doesn't have to settle on a proposal or even a wedding. 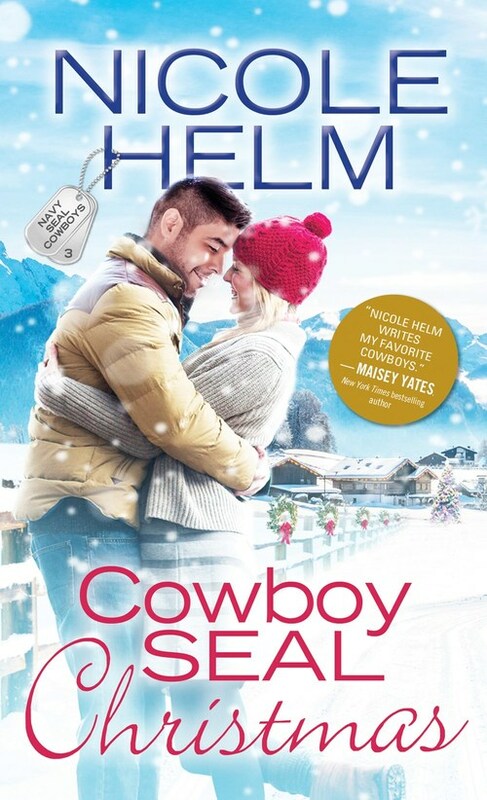 In the case of COWBOY SEAL CHRISTMAS, it's a full fledged time warp five years into the future, where you can see how these couples have settled into their lives running Revival, loving each other, and building their families. When we talk about romances, we often talk about the happily ever after, but if you look at the bulk of any romance novel, the majority of the book is the getting there�not the actual happy part. Of course, getting there is part of the happy, but I mean the more settled part. The boring days if you will. But during a series epilogue I can take a few pages to write about the Christmas dinner with the kids running around, the tired parents sharing rolled eyes over pets' antics, basically the �every day' that would be boring to read about for an entire book. The quiet moments that don't mean as much out of context of a series building up to this future, happy moment. You know those brief moments in your life where everything feels right�and even though you know it could all change in the blink of an eye�for one perfect second you have loved ones with you, you're all happy, and that warm glow of contentment steals through you? That's what a series epilogue should be. Hopefully, that's what I've managed to do. A fitting farewell to Blue Valley for me and readers alike. And if you've been on this ride from the beginning with REBEL COWBOY, let me assure you, it ends as it began: with a llama. Single mom and Revival Ranch's on-site therapist Monica Finley has dedicated her life to helping brave servicemen and women, but former Navy SEAL Gabe Cortez is the one man whose shell she just can't crack. Yet with the holidays fast approaching, she may finally have a plan. In a bid to get Gabe to open up, she'll ask for as much help as possible�cutting down the Christmas tree, stringing lights, the whole nine yards. Gabe has always hated Christmas�the holiday never fails to remind him just how alone he truly is. But the more time he spends with Monica and her young son, the more he finds himself drawn to their cozy little family�and the more he begins to realize his long-suppressed Christmas dreams may finally be coming true. 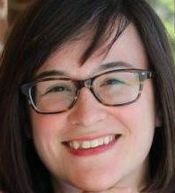 Nicole Helm writes down-to-earth contemporary romance specializing in people who don't live close enough to neighbors for them to be a problem. When she's not writing, she spends her time dreaming about someday owning a barn. She lives with her husband and two young sons in O'Fallon, Missouri. I really like the sound of this book!